Growing up as a girl in a small town in Colfax, Louisiana, I didn’t aspire to work for NASA because I thought, as a lot of people still do, that only engineers and scientist can work for such a highly technical organization. My father was an educator and since I loved kids, I thought that I would naturally pursue a degree in Education and return to Colfax to teach. Little did I know that my life would take an entirely different path. My parents stressed early on that getting an education was important and that we get good grades in school, and that education was beyond high school. As the fourth of five children, I naturally followed in the footsteps of my three older sisters and upon graduating from Grant High School in Dry Prong, Louisiana; I headed to Southern University in Baton Rouge, LA. I didn’t major in Education; I chose to pursue a degree in Business. While at Southern, I met and later married my college sweetheart, Freddie Douglas, III and that’s when my journey to NASA began. Freddie accepted a job at Marshall Space Flight Center as a flight structures design engineer, in the Structure and Propulsion Directorate. I began my career with a DoD contractor, Holmes and Narver, Morrison Knudsen and shortly after accepted a position as a Career Intern with the DoD and was assigned as a Contract Specialist at the U.S. Army Missile Command. I was so excited to become a federal employee and eagerly pursued the contracting training and learning about procurement for the government. As we started planning our future, which of course included having children, we decided that wanted to raise our children around family. Someone suggested that we apply to Stennis Space Center. It’s really true that Stennis was a well kept secret in the NASA family, because we really didn’t know much about it, but we gave it a shot anyway! We submitted an “unsolicited application package” and were excited when we were called for an interview! Freddie interviewed with several of the managers in the Propulsion Test Directorate, and I interviewed with the center’s procurement officer and personnel manager. I often tease with Freddie that they really wanted him, and I was the lagniappe. I didn’t get an offer to work directly in procurement, but I was offered a position in the Personnel Office as an employee development specialist. I was able to use the skills I had learned from my experience in procurement to serve in the Personnel Office as a buyer for special services, including training and temporary services for the center. I am proud that I still have ties to the contracting field as I am among a few non contracting professionals in the agency to hold a Contracting Officer’s warrant. This was an opportunity of a lifetime and where I really feel my career began. Working at NASA has been absolutely awesome. I have primarily worked in Training and Development and currently serve as the center’s Training Officer. But that’s only a part of what I do. Because we are such a small center, we wear multiple hats. Sharon Jeffers, a mentor and former personnel officer, believed in “learning by doing” so my peers and I were given assignments and broadening experiences that allowed us to develop skills in not only our primary functions, but in all areas of HR responsibilities. I am so grateful that she saw my potential and provided the opportunity for me to consider new possibilities in Human Resources that has propelled over the last twenty years. I have worked in most functional areas and am also currently responsible for the center’s co-operative education program and the administrative services contract. Looking back over the years, I have had the opportunity to work with the entire civil service workforce and many of our contractors as well. A highlight of my career was when I was awarded the agency’s Silver Snoopy Award and the opportunities afforded for continuous learning. I completed some advanced course work at the Universities of Southeastern Louisiana and Southern Mississippi and obtained a MBA from William Carey University. Working in what we now refer to as the Office of Human Capital has provided me with many exciting opportunities to impact the lives of the many employees that work for and with NASA. I love people and believe that I should help others in any way that I can. To young ladies trying to enter the workforce I would offer that hard work, perseverance, dedication and passion are keys to being successful. I would also encourage them to have a strong work ethic; that “whatever your hand finds to do, do it with your might.” Strong work ethic, coupled with hard work, perseverance, dedication and passion will open the door to countless opportunities. When the doors are opened, with preparation, you will be ready to soar. NASA is the greatest place to work. I am reminded of this when I think about the impacts of Hurricane Katrina on our community. During a time when there was so much devastation and losses, it was incredible the way the NASA family worked together to rebuild our community. I was deeply humbled by that experience and so grateful to work for an agency that did in fact put the people first. I consider being able to successfully balance a career and a family my most significant accomplishment. I am honored to work for NASA and proud of having the opportunity to raise, with my husband, three daughters, that I know have a strong sense of who they are and their responsibility to become productive citizens. As the mother of three daughters and spouse to a NASA employee, Anita Douglas had to quickly learn how to balance work and family without compromising either. Today, in addition to having a rewarding home life, all three of her daughters are in college. 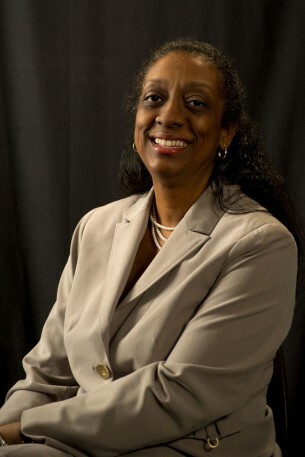 In her career, she currently serves as Lead Human Resources Specialist in the Office of Human Capital at NASA Stennis Space Center. In this light, she is the Center’s technical expert for Center-wide training projects, initiatives, and systems. She has the opportunity to work closely with the senior leaders, as well as employees, to offer career development opportunities. Under her leadership, the center has developed a strong mentoring program that promotes knowledge sharing between senior employees and technical experts and entry to mid-level employees. She is also the center’s co-operative education program manager and clerical administrative program manager. These key assignments have a direct impact on NASA today and in the future. Mrs. Douglas holds a Bachelor’s in marketing from Southern University, Baton Rouge, Louisiana and a Master’s in business administration from William Carey University. Throughout her career, she has been the recipient of numerous awards and recognitions including the Agency’s Silver Snoopy and Exceptional Service Medal. Mrs. Douglas firmly believes that “to whom much is given, much is required”. Thus, she volunteers within her sorority Delta Sigma Theta Sorority to work with and mentor young girls. In this way, she gears herself toward inspiring and enriching the lives of young women. She also serves as the Youth Director of her church where she has the opportunity to influence the youth not only in their spiritual growth but also in other aspects of their lives. Mrs. Douglas’ most recent accomplishment was the start of Reading Program, Read to Lead, in the church and community.